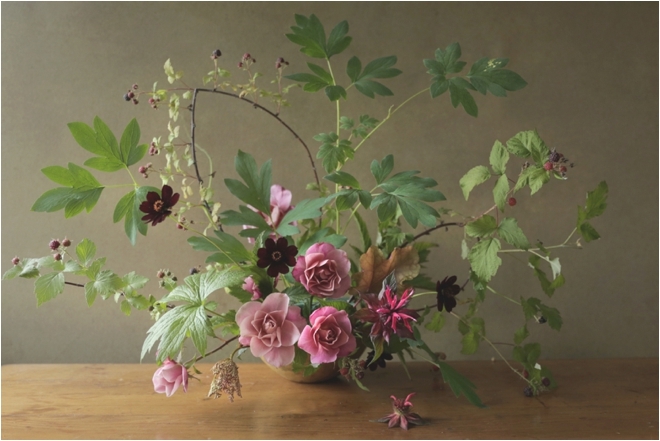 While managing a Brooklyn restaurant in the early 2000’s, Ariel Dearie would put together the occasional flower arrangement for her employer—a hobby she came to adore. Though she had been planning to open her own café for years, her passion for floral design took over, and after arranging flowers for a few friends’ weddings one summer, she found herself on a new, and very successful, career path. With the launch of Ariel Dearie Flowers in 2011, Dearie began making a major name for herself, attracting fashionable corporate clients including Dior, Prada and Bulgari, and working on photo shoots with notables including Isabella Rossellini, Jessica Chastain and Hillary Clinton. 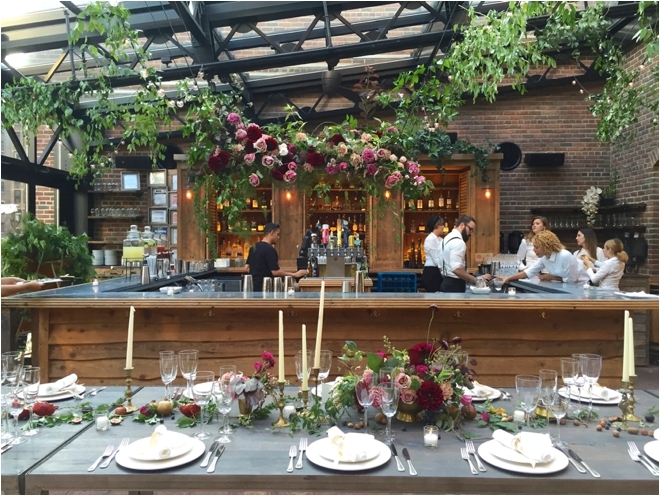 Her own “Vogue”-featured 2015 wedding, set at Brooklyn’s Boathouse at Prospect Park, and decked out with sprigs of fern, sinewy orchids and pomegranates, is emblematic of her design sensibility. And her sensible approach to wedding floral that is as evocative as it is unfussy is a style-minded bride’s dream-come-true. 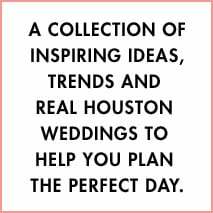 Check out or exclusive Q&A, and then find your own Houston wedding florist, and start growing your one-of-a-kind wedding design! 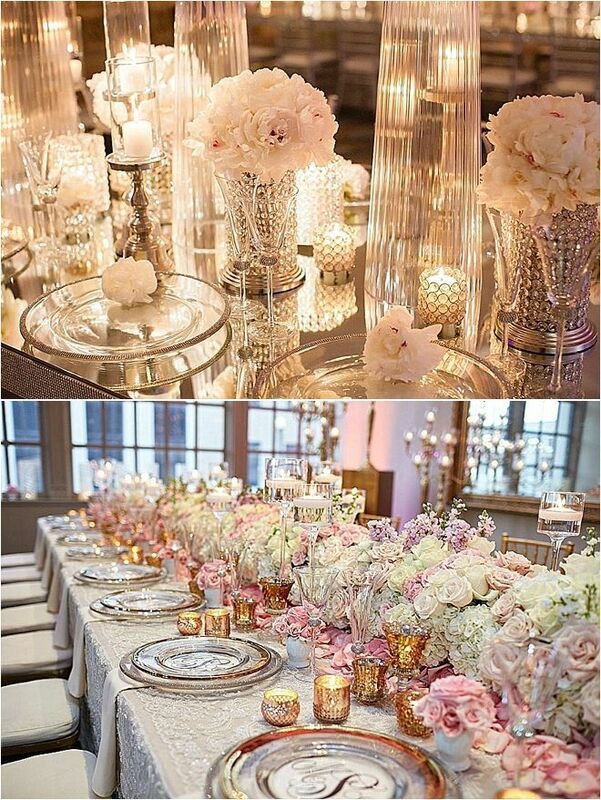 Weddings in Houston: What influence does your New Orleans background have on your floral design aesthetic? Ariel Dearie: Growing up in a lush, verdant city definitely had an impact on my work. I think that going from New Orleans to New York really left me with a longing for more green and more nature. Some of my favorite Southern flowers are camellias, azaleas and smilax foliage. 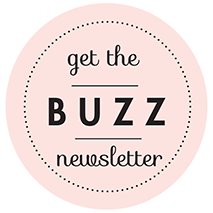 WIH: What changes have you seen in couples’ floral preferences since you launched your business in 2011? AD: Over the past years, having beautiful flowers at your wedding has become just as important as having a great venue or a great photographer. Our couples have started requesting flowers that are unexpected and out of the ordinary, and they also want to have non-floral elements included in their arrangements, like fruit, feathers and nuts. Instead of just standard roses, they want frilly garden roses blended with textural foliage and berries. Instead of a ball of hydrangeas, they want lace hydrangea as an accent with tree peonies and kumquats. Instead of simple clear glass vessels, our couples usually choose from our inventory of antique silver, brass and ceramic pieces. WIH: What are some of your favorite bouquet ideas, and how do you collaborate with each bride to make sure she has a bouquet she’ll cherish? AD: I love loose, flowing bouquets that feel as if you’ve just swept up the blooms from a garden. When coming up with a bouquet design for our clients, I usually ask what they want to carry and how they want to feel while carrying it. We also take their dress and the wedding setting into account. I love when brides want to include a family heirloom or sentimental item in their bouquet. I think it makes the bouquet extra special. WIH: What floral trends or design “fallbacks” do you dislike most? AD: I don’t really like super-tight floral arrangements that cease to look like flowers. I don’t think flowers should be heavily manipulated to look like something they’re not. WIH: What design trends are you seeing evolve for your 2018 weddings? AD: For the past few years and continuing into the 2018 season, couples have been requesting larger-scale installations in addition to bouquets and table centerpieces. These have included hanging floral pieces suspended over the tables and lush arches for the entryways. 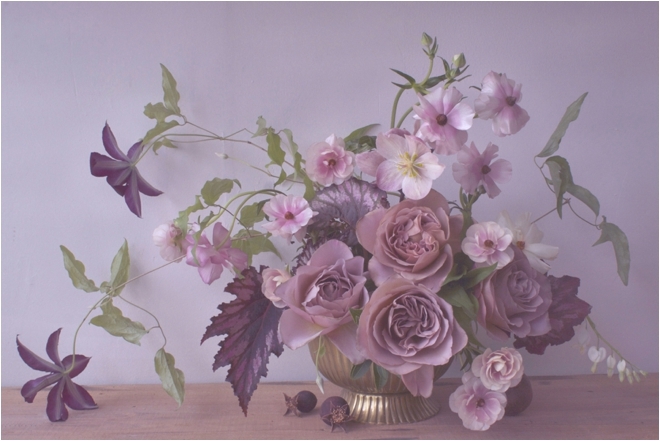 To create these, we love to use vines such as smilax and pair those with garden roses, peonies and Dutch carnations. WIH: What is your top wedding tip for couples tying the knot in Houston—where climate is an issue any time of year? AD: For outdoor weddings, always have a good Plan B, in case the weather isn’t cooperating. And make sure to choose a venue where you’d be happy with either the indoor or outdoor options. It’s just one less (big) thing to stress about! WIH: What do you love most about working on weddings? AD: We have been so fortunate with the clients we have gotten to work with. 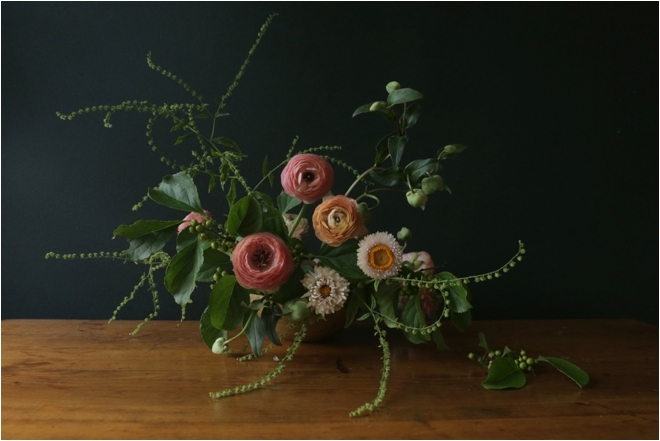 I think there’s something about the natural, loose style of our flowers that just attracts really lovely people to our work!